Mr. Muraco has earned such accolades through a combination of technical virtuosity, tonal beauty, and a unique understanding of the underlying poetry of music. His performances in major concert halls throughout the United States, Canada, Central America, Europe, and Asia reflect his command of a repertoire remarkable for its complete range of musical styles, periods and forms. He has been praised for his insightful interpretations of Mozart, Beethoven, Schubert, Schumann, Chopin, Brahms, Wolf, Debussy, Rachmaninoff, Poulenc, and premieres of William Schuman and George Perle. Mr. Muraco has partnered with distinguised musicians such as Adele Addison, John Aler, Martina Arroyo, Arleen Augér, John Cheek, Phyllis Curtin, Mary Dunleavy, Faith Esham, Maureen Forrester, Denyce Graves, Ben Heppner, Henry Herford, Ying Huang, Sumi Jo, Susanne Mentzer, Chris Merritt, Roberta Peters, Hermann Prey, Twyla Robinson, Jennie Tourel, Benita Valente and Dolora Zajick, and instrumentalists John Graham, Wolfram Koessel, Robert Mann, Arnold Steinhardt, Zara Nelsova, Ransom Wilson, Peter Winograd, and the American and Shanghai String Quartets. Highlights of his career include appearances at The White House, the Library of Congress, the Aspen, Banff, Bermuda, Casals, Cincinnati May and Ravinia Festivals, and on recital series at New York's major concert halls and at museums, universities and cultural centers throughout the US, Europe and Asia. Mr. Muraco has recorded on the Serenus, CRI and Musical Heritage labels, including a program of music for viola and piano by Britten, Shostakovitch, Bergsma and Shapey with John Graham as well as a Liederabend of Brahms with contralto Maureen Forrester on CBC records. In addition to his busy performing schedule, Mr. Muraco has been a member of the faculties of the Cleveland Institute of Music, the State University of New York at Stony Brook., and is presently on the faculty of Manhattan School of Music. There he trains pianists in the art of accompanying and coaching, as well as singers in all aspects of the art. He has taught master classes for pianists and singers at the Aspen and Banff Music Festivals and the St. Louis Conservatory as well as at the Eastman School of Music. In such master classes he emphasizes the unique relationship of poetry and music in all aspects of the vocal repertoire, bringing to bear his extensive knowledge of languages ‐‐ French, Italian, German and Portuguese among others. Influential teachers in Thomas Muraco's own training include Brooks Smith at the Eastman School of Music, from which he graduated with distinction, and Jeaneane Dowis at the Aspen Festival and in NYC, and conductors David Gilbert and John Nelson. Often asked to judge competitions such as the Metropolitan Opera National Council Auditions, Mr. Muraco has been the chairman of the jury of the annual international vocal competition held in Vivonne, France, “De Vive Voix” at which festival he conducted a program of opera scenes in 2007 and in 2008 performed “Die Winterreise” to great acclaim. In August 2000 he conducted Lakmé in Tel‐Aviv for the International Vocal Arts Institute, La Bohème at the Manhattan School of Music in 2000, La Traviata at the Manhattan School of Music in April 2001 and Carmen there in April 2002. La Cenerentola was his debut with Opera San José in September 2002, in 2003 Die Zauberflöte, Idomeneo in January 2004 at Opera Mc Gill, Madama Butterfly, Don Giovanni, Dialogues des Carmélites, Il Tabarro/ Gianni Schicchi, Rigoletto, Falstaff, Lucia, Faust, Hänsel und Gretel, Capuleti e i Montecchi, Lakmé, Luisa Miller and Die Entführung aus dem Serail, Don Pasquale, La Voix Humaine/ Suor Angelica, all at the Manhattan School of Music in his Opera Repertory Ensemble where he prepares and conducts the chorus and the principles. In April 2015 he made his debut with Tri-Cities Opera to critical acclaim conducting Faust. Mr. Muraco had the honor of assisting in the preparation of performances and a recording of La Bohème under the direction of Leonard Bernstein. In addition, he has assisted in preparing both operatic and symphonic repertoire for conductors John Nelson: in the US at Carnegie Hall (Verdi Requiem), with the New Japan Philharmonic (La Traviata and Schumann Scenes from Faust) ,with L’Ensemble Orchestral de Paris (Entführung aus dem Serail), and in Le Nozze di Figaro at the Santa Fe Opera as well as for James Conlon (with the Cincinnati Symphony) adding yet another aspect to a career which has already established him in the front ranks of American musicians. During the 2007-2008 season, Mr. Muraco was the Studienleiter- Kapellmeister at the Theater Bremen where he conducted many performances of the 2007-2008 season including Nabucco and Merlin of Carl Goldmark as well as overseeing the preparation of all repertoire in the season. During Jan-Feb, 2009 he performed to great acclaim with tenor Ben Heppner at La Scala, Dortmund Konzerthaus, Opéra National de Paris, Berlin Philharmonie and at the Barbican Centre in London. In August, 2012 he was the Music Director of a new training program in Siena, Italy in which he conducted Orlando of Händel and Suor Angelica of Puccini and in the summer of 2013 assisted John Nelson at the Santa Fe Opera on Le Nozze di Figaro as well as performing and teaching at the Banff Centre and at Opera Advantage. He judges the Met Opera National Council auditions every year and is on the Advisory Board of the Art Song Preservation Society. He regularly teaches at Dolora Zajick’s Insitute for Young Dramatic Voices and CoOPERAtive at Westminster Choir College. Joshua Winograde is the Associate Artistic Administrator of The Metropolitan Opera and also the Director of the Met National Council Auditions. Prior to The Met, he was Senior Director of Artistic Planning at Los Angeles Opera, and before that he created and oversaw the Opera Studio at Wolf Trap Opera in Washington DC. Joshua has served on many competition juries including the Richard Tucker Music Foundation Awards, The Metropolitan Opera National Council Grand Finals, the Innsbruck Alte Musik Festival Cesti Competition, The Galina Vishnevskaya International Competition in Moscow, The International Singers Fair in Baku, Azerbaijan, and the Dallas Opera Guild Vocal Competition. Before working behind the scenes, Joshua earned both his bachelor and master’s degrees from the Juilliard School and sang professionally with Houston Grand Opera, New York City Opera, Opera Theatre of St. Louis, the Los Angeles Philharmonic, the St. Louis Symphony, National Symphony Orchestra and American Symphony Orchestra, among many others. Cori Ellison, a leading creative figure in the opera world, has served as staff Dramaturg at Glyndebourne Festival Opera and New York City Opera. She has served as a production dramaturg at companies including Cincinnati Opera, Washington National Opera, Bard Summerscape, and National Sawdust. She is a member of the Vocal Arts faculty at the Juilliard School and a master teacher at the Ravinia Steans Music Institute Program for Singers and the Crested Butte Opera Studio. 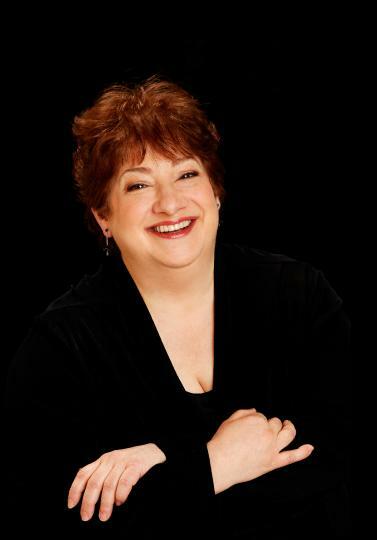 She has coached and taught master classes for singers at institutions including Glyndebourne, New York City Opera, Santa Fe Opera, Indiana University, Cincinnati College-Conservatory, Mannes College, University of Texas at Austin, Boston University, Boston Conservatory, Michigan State University, DePaul University, University of Illinois, and Martina Arroyo’s Prelude to Performance program, and regularly serves as a judge for the Metropolitan Opera National Council Auditions and other competitions. Active in developing contemporary opera, she teaches dramaturgy for American Lyric Theater’s Composer Librettist Development Program and is a sought-after dramaturgical consultant to companies including Glyndebourne, Canadian Opera, Opera Philadelphia, Fort Worth Opera, Pittsburgh Opera, and Beth Morrison Projects. She creates supertitles for opera companies across the English-speaking world, and has written English singing translations for City Opera, English National Opera, and the Bard Festival. She has often written for the New York Times, and has contributed to books including The New Grove Dictionary of Opera and The Compleat Mozart.